La Divina - A Womb Healing Workshop to Reignite your Inner Fire. 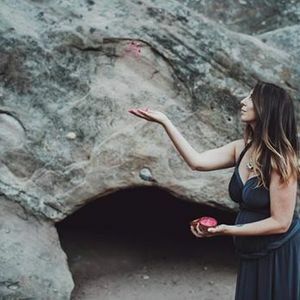 ** Join Carlotta Mastrojanni for a deep dive into the feminine shamanic landscape of the Womb. ** Please note this will be the last ceremony here in Ojai until June! 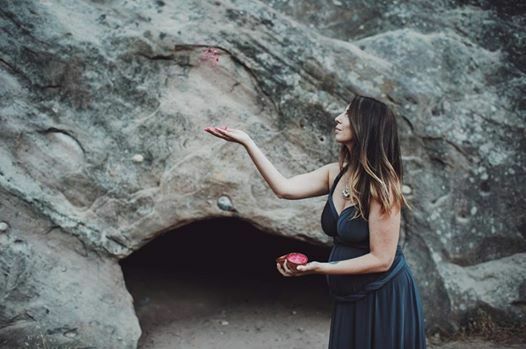 At this event, Carlotta will guide participants in a deep reawakening and exploration of the heart and womb space, through a process of inner alchemy. Unlocking the alchemy between the womb and heart can heal our entire system, restoring the pulse of our creative fire and placing us once more in ecstatic connection with our bodies and all of nature. This is what it means to come back to wholeness and embody our divinity. When the true fire of our soul burns un-interrupted and we are able to live from our unique essence, we can effortlessly Create from a place of power. This is a process of awakening and one that connects us to our highest purpose once we begin to know ourselves intimately. It is a wonderful initiation into a more empowered and magical Self. Through meditations, ancient womb wisdom, and the support of the sacred medicine cacao and sound, you will be supported in plugging back into the feminine consciousness of your body. This means abundance, magnetism, wholeness, fertility, intuition and more…as your body realigns, so does your capacity to resonate with nature and receive Her elements as healing gifts within you at a cellular level. Together we will journey into the hidden realms of our being to take a look at where each one of us is within the framework of the Great Goddess (La Grande Dea), whilst rewriting some of our old stories that are holding us back from fulfilling our highest potential. There will also be an opportunity to share your experiences and receive guidance to integrate this powerful unfolding process. It is a safe and joyous space for sisters to come together and share their wisdom, love and support for each other. Carlotta is a spiritual healer and author based in Ojai, California. She is a channel for the Divine Feminine and through her Womb Readings, she supports women to return to the wholeness of their original Soul Blueprint. Carlotta weaves modern and ancestral wisdom on empowerment and sexuality, aiming to restore connection between the masculine and feminine. Her book “The Modern Medicine Woman - a path to wholeness” charts the path of awakening through Love Alchemy - using ones inner orgasmic life force to activate the womb and heart, and create from an awakened body. 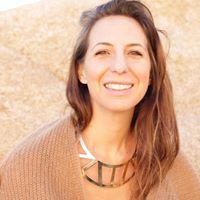 Carlotta teaches and leads workshops in Europe and the US, returning home to her beloved Valley of the Moon, where she lives with her husband and son.